Remember hearing aids of the past…..unsightly hunks of plastic filling your ears, constant fiddling with the damn things and the aids whistling. Those days, my friend, are gone. Today’s hearing aids are small, discreet and require very little adjustment by the user. Most features in hearing aids are fully automatic. Automatic identification of environment in terms of quiet conditions versus noise, allows the hearing aid to seamlessly adjust to suit conditions. The digital age first started in the hearing aid industry in 1996 with Widex introducing the first commercially viable digital hearing aid. Up to that point hearing aids were a tuned amplifier. The amplifier was adjusted to suit your degree of loss and slope of the loss for bass versus treble. You then could control the volume of sound needed for any situation by adjusting the volume control. Limited capability, limited satisfaction. The first digital hearing aid, by today’s standards, was of fairly simple design. It was a 3 channel design. Each channel was set to the power needed to enhance normal conversation. As sound flowed into the aid it was instantly categorized in terms of pitch as belonging to one of the three channels. The channel would then sense how loud the sound was and apply a calculated amount of gain to increase the sound to a comfortable level for the user. Amazing back then! Today’s hearing aids can be up to 20 channel design employing a huge amount of analysis and automatic adjustment. Every manufacturer of hearing aids offers several levels of technology from simplest to highly sophisticated. The simplest designs of hearing aids have fewer features and benefits with regard to how they can adjust themselves and of course higher levels of technology are more aggressive in how they can adjust to any situation. Which hearing aid you need depends on your social needs and degree of hearing loss. If you are a home body with limited social contact perhaps a less expensive low technology design will work fine for you. If you are socially active you would benefit from higher technology. The degree of hearing loss also influences benefit. High technology hearing aids tend to benefit those with mild to moderate hearing loss. People with severe hearing loss tend to not benefit as much from high technology. For the severely hearing impaired any change in sound due to the automatic adjustment by the hearing aid is often felt as a loss of contact with their environment and can be very disturbing to an individual who needs consistency in their environment to feel attached. Channel design – Low technology hearing aids have fewer channels than high technology hearing aids. A channel can be thought of as a filter or point of analysis. The higher the number of channels the more analysis and precision in adjustment can be carried out. Low technology hearing aids may have 3-4 channels. Noise reduction and speech enhancement – As sound is processed by the hearing aid it is analysed for speech versus noise content. Channels which are predominantly noise are reduced and channels of high speech content are raised thereby extracting speech in the presence of noise. Again the higher number of channels the better. Microphone design – Microphones pick up the sound for the hearing aid to process. They can be of limited capability in terms of noise suppression or can be very dynamic constantly adjusting their directional pattern and focus. High technology hearing aids also talk to each other to ensure that both hearing aids are attending to the same source and adjust themselves to allow the individual maximize speech content. Auto Destination – How a hearing aid automatically adjusts to various environments automatically. Low technology hearing aids may have only one setting. High technology hearing aids can have different algorithms for different environments such as speech in quiet, speech in noise, speech in crowds, noise without speech, car setting and music. Automatic Feedback Suppression – Hearing aids used to be notorious for whistling especially for more severe hearing loss. Today’s hearing aids have come close to eliminating the whistling from feedback. Fast Acting Compression – The sudden sound of dishes and cutlery clanging, a car horn or a dog barking used to drive hearing aid users into a frenzy of pain. Thanks to the speed of processing sudden sounds do not cause the same discomfort they did a few years ago. Auto Telephone Coupling – Talking on a telephone while wearing a hearing aid could be difficult. Hearing aids are fit with a device known as a telephone coil to pick up the sound from the telephone. Besides not working well the T-coil setting required the user to push a button or flick a switch to T-coil mode to talk on the telephone. These days the hearing aid will automatically sense when a telephone is held near it and automatically adapt the change to T-coil. Blue tooth – The signal from your cell phone is sent directly into your hearing aid. You talk on the cell phone without even touching it. Other Bluetooth transmitters can be attached to your TV so the sound from the TV is transmitted directly into your hearing aid and adjusts to your needs without affecting others watching TV. The other use is of a Bluetooth remote microphone which can transmit up to 65 feet – good for lectures, church or extremely noisy conditions. Finally one of the most significant changes in recent years for patients and me , the dispenser, has been the development of the Automatic Acclimatization Manager. 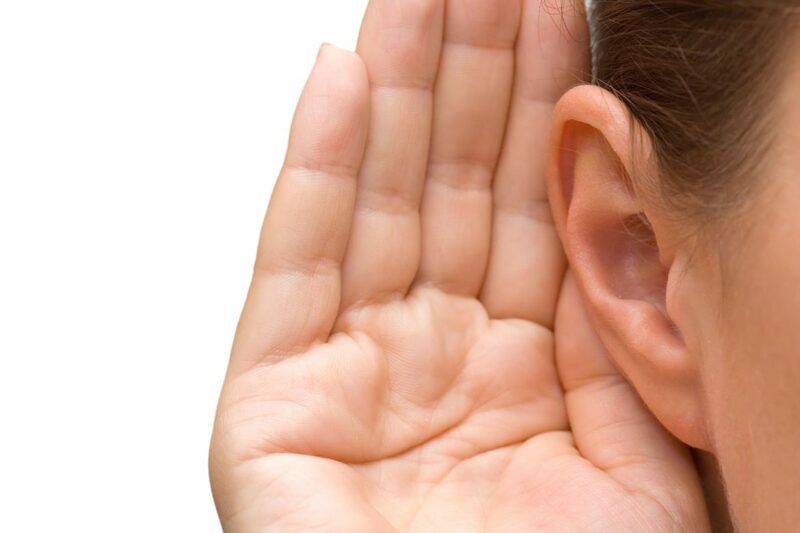 Hearing loss typically develops over a period of 15-20 years. The slow decline in hearing is unnoticed day to day but eventually through family pressure or individual recognition, there comes a point where the loss is interfering with social need and a hearing assessment is obtained. Even though the loss may be significant and warrants hearing aid use, the individual often waits several more years before pursuing a hearing aid fitting. The delay in acting upon rehabilitation has significant consequences. The more our hearing system is deprived of stimulation, the less efficient it becomes. Many environmental sounds such as heating and air conditioning, the refrigerator, traffic etc. which are filtered and ignored by normal hearing people can initially be overwhelming for the new hearing aid user. Fortunately some of today’s hearing aids are capable of slowly introducing you back to the full world of sound through what is known as an “Automatic Acclimatization Manager”. This feature allows the Audiologist to adjust the aids to an initial acceptance level for the individual and set a period of time over which the aids automatically and slowly increase the settings to their optimal level. This gives the patient time to retrain their brain to its new environment and results in a huge improvement in new user acceptance.